The average household spends $400-$600 annually heating its water, according to Energy.gov. That makes heating water the second largest expense in your home, accounting for 14-18% of your utility bills. The average water heater lasts 10-15 years, which makes it an appliance that will likely be replaced more than once in a homeowner’s time in a home. 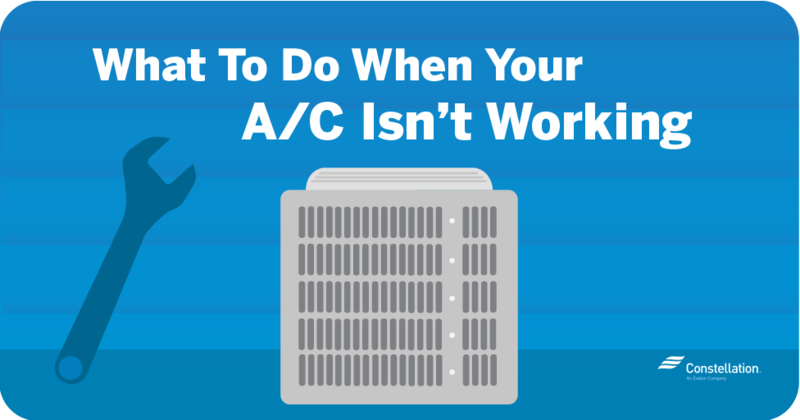 The question is, what do you do when it’s time for a replacement? We’ve talked about the differences between gas vs. electric water heaters. Here, we’ll cover tankless vs. traditional water heaters, including how do tankless water heaters work, how to choose a tankless water heater, and tankless water heater energy savings. A tankless hot water heater, also known as a demand water heater, is exactly what it sounds like. Unlike traditional water heaters, where tanks store water and maintain the water’s temperature until someone turns on the tap or the washing machine, tankless heaters only heat the water when an actual demand is made. No tap on, no water being heated. One difference between tankless water heaters vs. regular water heaters is that a tankless will heat the water directly. If you turn on the shower upstairs, cold water travels through a pipe to the tankless heater. There, either a gas burner or an electric element heats the water, delivering a constant supply of hot water for however long that shower occurs. No concerns about running out of hot water while you wait for the storage tank to refill with hot water. You should note this caveat, however, when comparing a tankless vs. traditional water heater: the output of a tankless heater can limit its flow rate. Energy.gov says that tankless water heaters typically provide hot water at a rate of 2-5 gallons a minute, with gas-fired tankless heaters producing a higher flow rate than heaters powered by electricity. This means that even gas-fired tankless heaters can have trouble producing enough hot water for someone to take a shower if, say, the dishwasher also is running. Energy.gov offers a potential solution for this problem: install multiple tankless water heaters. Connect them in parallel so that they can meet any simultaneous hot water needs. Another option is to install separate tankless water heaters for different appliances. Deciding between a tankless vs. tank hot water heater means taking into account a number of factors. 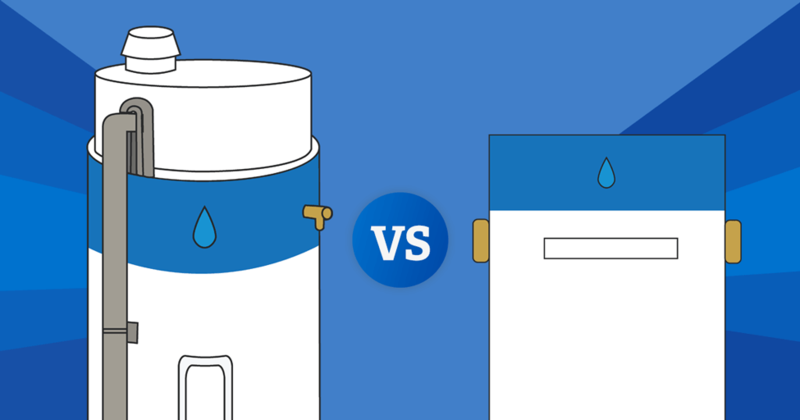 Tankless vs. traditional water heater life expectancy: Regular water heaters typically last 10-15 years. Tankless, if maintained properly, can last 20 or more. Cost of tankless water heaters vs. regular water heaters: When considering cost of water heaters, you need to consider up-front and installation costs, as well as potential tankless water heater energy savings. 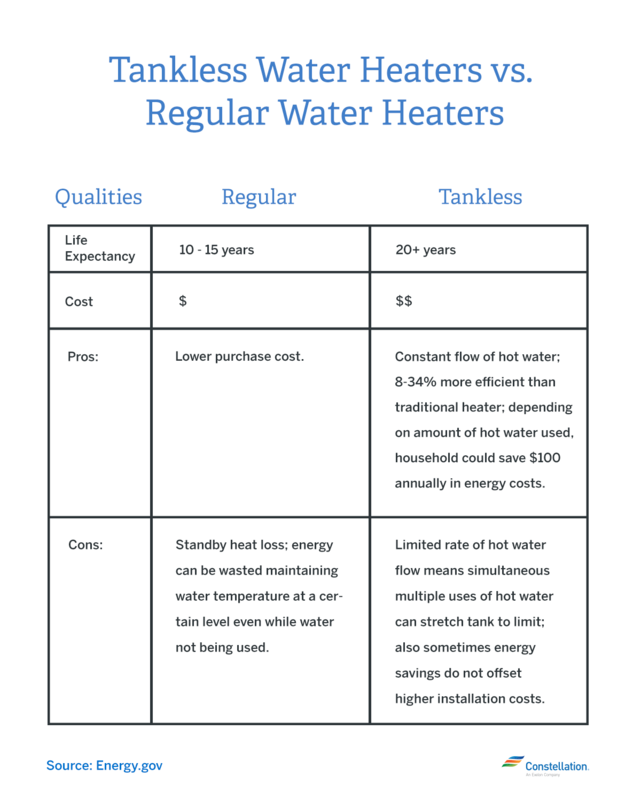 Tank water heaters typically cost less than tankless water heaters. When testing tankless vs. tank hot water heaters, Consumer Reports found gas-fired tankless heaters ranged from $800-$1,150 compared to regular storage tank models in the $300-$480 range. Additionally, the report noted that tankless gas models had higher installation costs, thanks to the need for electrical outlets, upgraded gas pipes and a new ventilation system. Tankless heaters can be 24-34% more energy-efficient than regular water heaters for households that use 41 gallons or fewer of hot water daily. Tankless heaters can be 8-14% more energy-efficient for households that use around 86 gallons daily. Installing a tankless heater at each hot water outlet, Energy.gov says, can increase tankless water heater energy savings by up to 27-50%. ENERGY STAR estimates that a typical family can save at least $100 annually in tankless water heater energy savings by using an ENERGY STAR-certified tankless heater. If you’ve decided that tankless water heater energy savings have made a tankless heater the right route for your home, the next step is figuring out how to choose a tankless water heater. Here, as with many other appliances, size matters. 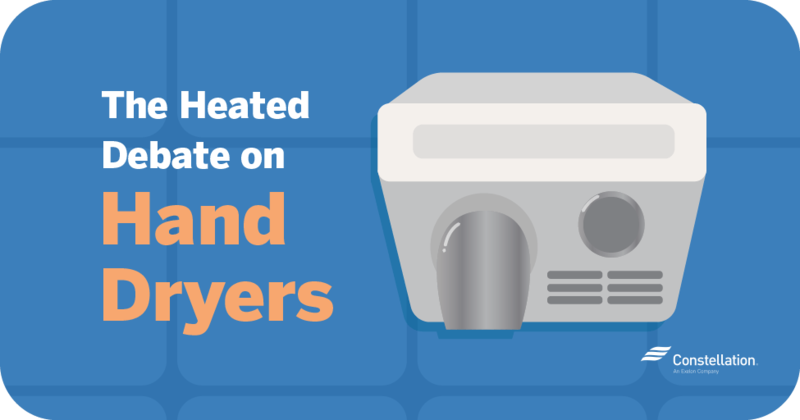 Here are some tips to help you choose the best heater for your hot water needs. 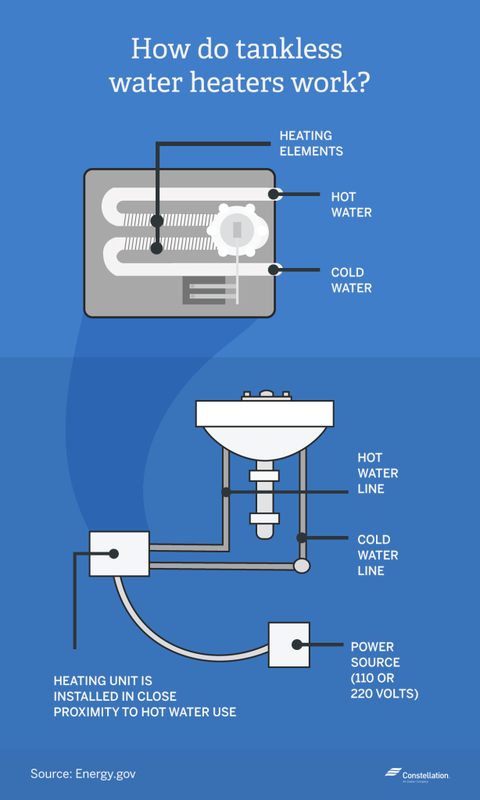 Know your water heater flow rate. Tankless heaters are rated by the maximum temperature increase possible at a given flow rate, Energy.gov says. 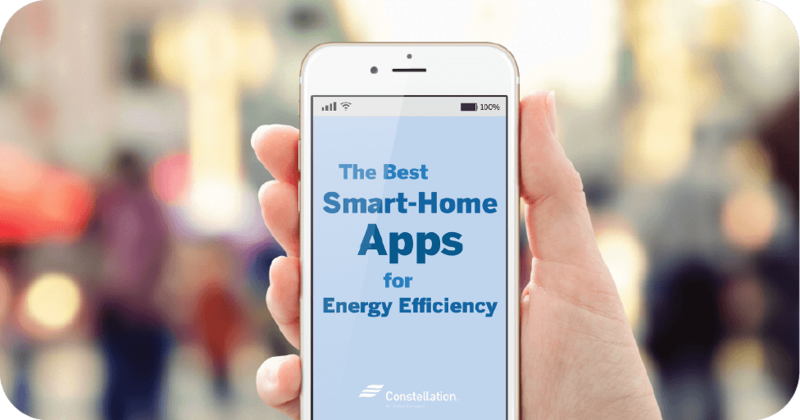 Decide how many hot water appliances or devices you expect to use at one time. Know the flow rate (water gallons per minute) for each one. Add those together to know the maximum flow rate you’ll need. Factor in location. Consumer Reports compared tankless water heaters vs. regular water heaters and found that groundwater temperatures affect water output in tankless models. In the test, they discovered that the same model heater produced 7.2 gallons per minute in a warm Florida garage but only produced 4.2 gallons per minute in a cold New England basement. That’s because the colder water required the overall water temperature to be heated by 77 degrees in New England rather than only 44 degrees in Florida. The report suggests using your coldest groundwater temperature to calculate the gallons per minute you’ll need in your heater model when looking at how to choose a tankless water heater. Energy.gov suggests assuming that the incoming water is 50 degrees Fahrenheit if the groundwater temperature is unknown. Most uses require hot water to reach a temperature of 120 degrees Fahrenheit. So, assuming your groundwater temperature is 50 degrees, that would mean a temperature rise requirement of 70 degrees. Bottom line: the lowly water heater does a lot of work each day. Understanding the differences between a tankless vs. tank hot water heater can help you make the best energy choice for your family and needs. I read your post, Thanks for sharing this blog. Your articlein disussing electric heating does not consided electricity KVA demand of the two heaters.A tankless heater needs a larger KVA demand and many of these in an older house may not be advisable. Hi St. Clair King, that’s a great point, and worth noting. If an energy user has an old home, it’s always important to be aware of what their electrical equipment can handle. this above article on tankless vs storage is very helpful. thank you. Hi Sandra, we’re glad to help!